Posted June 13, 2011 in Darkseid, Justin Stewart. 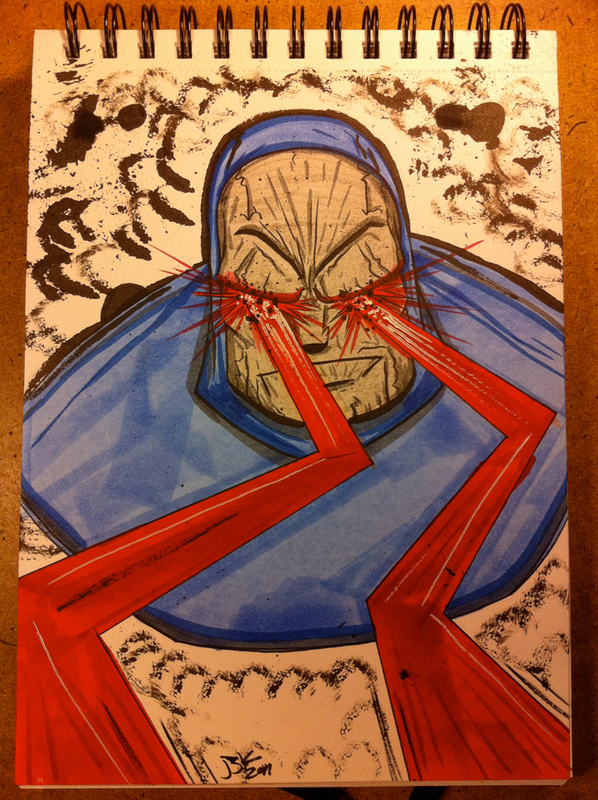 A Darkseid sketchbook commission courtesy of Kentucky based illustrator Justin Stewart. Justin’s work has appeared in the anthology books, Josh Howard Presents: Sasquatch, Jesus hates Zombies and Tales from Clerks. He is one sixth of the collective Quarantine comics and a fourth of the Beaucoup Pop Podcast team and you can find more of his art at his blog and website.